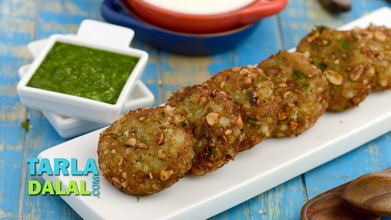 Rava Vada Video . 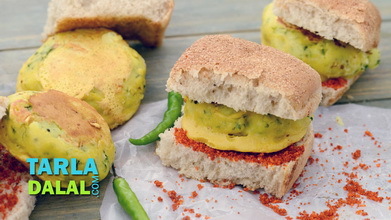 The Rava Vada is a very popular South Indian snack, which has a unique taste and fabulous texture. 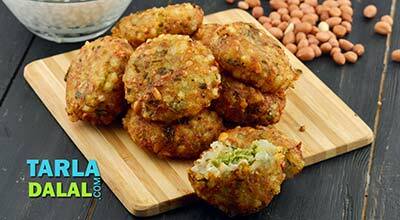 Moreover, it is very quick and easy because you do not have to prepare a batter. So, you can make this without any fuss when a sudden guest arrives. 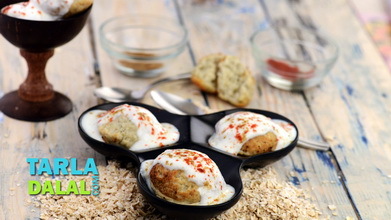 Combine the semolina and curds in a deep bowl and mix well with your hands. 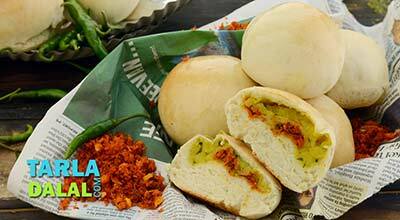 Add all the remaining ingredients and mix very well with your hands. Add the baking soda and mix very well. Wet your hand. 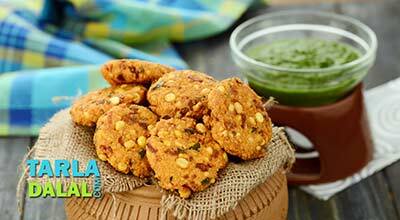 Place a portion of the mixture on your palm and flatten it slightly. 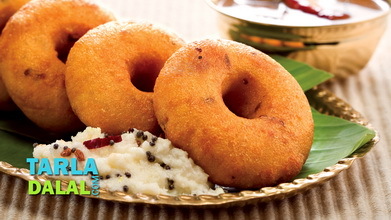 Make a hole in the centre of the vada with your index finger. 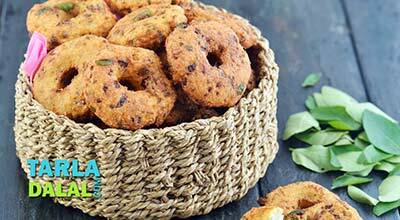 Heat the oil in a deep non-stick pan, upturn your hand and drop the vada in oil. 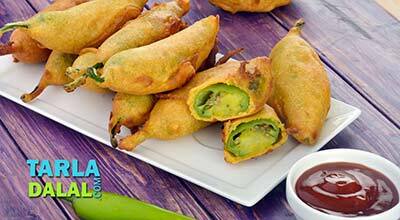 Deep-fry the vada on a medium flame till they turn golden brown in colour from both the sides. Drain on an absorbent paper. 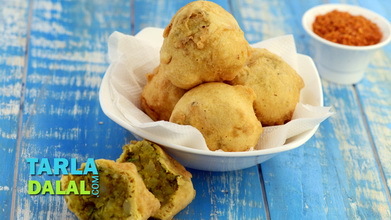 You can deep-fry 4 to 5 vadas at a time.